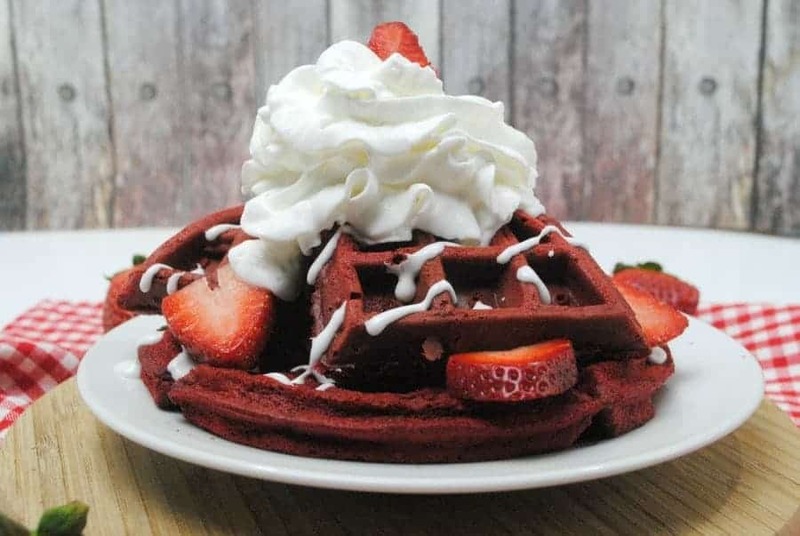 This Red Velvet Waffle Recipe will leave you wondering if you have just eaten breakfast or dessert. 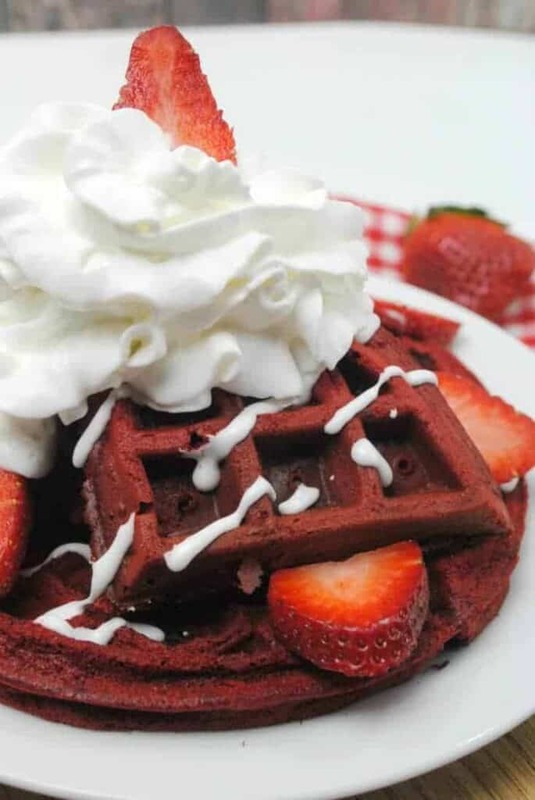 Valentine’s Day is coming up soon and this Red Velvet Waffle recipe is the perfect way to start the day! Mix the Bisquick , sugar, cocoa powder, and salt in medium bowl and then set aside. Spray the waffle maker with cooking spray while it’s preheating. In a medium bowl, beat together eggs, heavy cream, butter, vanilla, and vinegar on low speed until combined. Pour milk mixture into dry ingredients and mix until combined. Cook waffles according to your iron and size. Beat the cream cheese and butter until fluffy. 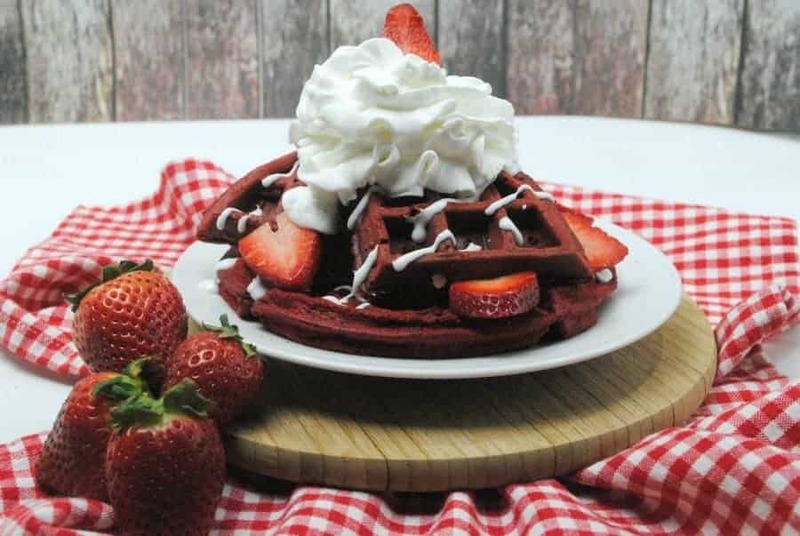 Pour the batter into a squeeze bottle and drizzle all over the waffles. Add whipped cream and strawberries as desired.